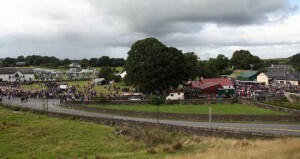 The Hollywood Fair which took place over the last 5 days (Wed 13th to Sun 17th August) was again a great success. From early morning Sunday the crowds started to arrive and they just kept coming and coming. 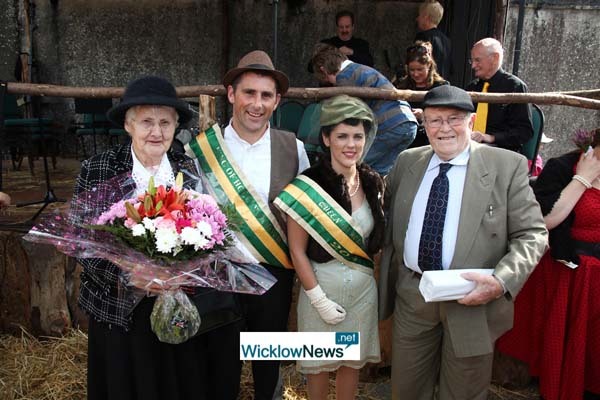 The Fair was then officially opened by two of the oldest residents of Hollywood Mrs. Susan Tutty and Mr. John Joe Cullen. This was the fourth year of the Hollywood Fair and the pre-1950s rural heritage theme of the Fair has definitely struck a real chord with people. The Hollywood community was united as never before, as Hollywood at home and Hollywood abroad came together to celebrate the little place in West Wicklow. But of course the event was much wider than Hollywood itself. They welcomed visitors from far and wide. 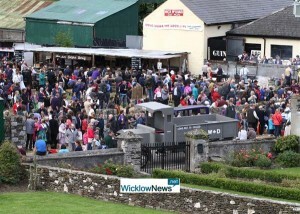 Neighbours in Wicklow and Kildare flocked to the village but there were also large numbers from Dublin and further afield, including many foreign tourists who were intrigued by the whole thing. The old-fashioned dress and the traditional crafts and customs on display at Hollywood have again proved to be real crowd-pullers. Visit www.thehollywoodfair.com and https://www.facebook.com/pages/The-Hollywood-Fair/148259345324940 for up to date features.